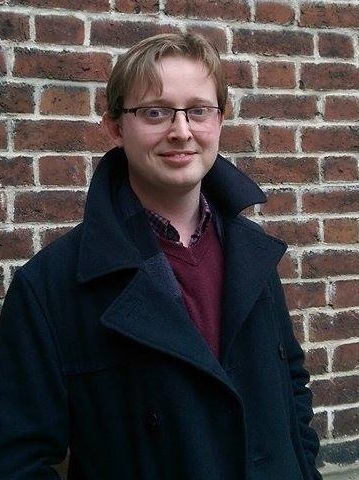 I am a Lecturer in Eighteenth-Century Literature at York St John University where I currently teach on a wide range of undergraduate and postgraduate modules. From 2014-2016, I was an Honorary research fellow for the University of Sheffield’s Centre for Archival Practices and a Cultural Engagement Fellow on an AHRC-funded post-doctoral project titled ‘Sheffield: Print, Protest and Poetry, 1790-1810.’ During the same period I contributed to the first Massive Open Online Course to be launched by the School of English at the University of Sheffield, ‘Literature of the English Country House‘, serving as Co-Lead Educator for the 2015 and 2016 iterations of the course. I am passionate about public engagement and ever keen to find new ways to disseminate information and engage in knowledge exchange. For instance, in 2016 I secured funding to work with playwright Javaad Alipoor and the Eclipse Theatre company to produce and perform a live show based on his archival research at Sheffield’s Festival of the Mind. If you see something that sparks an idea for collaboration whilst reading these pages, please do get in touch. Cheryl has passed on to me your book Poetry Conspiracy Radicalism – which looks very interesting indeed about my favourite period in Sheffield history. I am most grateful. I am leading a Historic Troublemakers Walk of Sheffield City Centre at 3 p,m. tomorrow Sunday 19 June starting in Paradise Square. You would be very welcome! It is excellent to hear from you, I am pleased you have received the book! Unfortunately I’m not in Sheffield this weekend – is this a regular Walk, I would love to come along another time. I’d also really like to meet if you’d be up for a coffee at some point, this is a great opportunity to compare notes and perhaps plan for future collaborations! Hi Adam, I am a member of Sheffield U3A Story writing group. We have written for an event in the Sheffield Off the Shelf Festival called Dark Tales from the Steel City and are presenting our pieces in the parts of the city they relate to on a story walk on October 13th. (Page 65 in the Off the Shelf brochure of events.) As it happens, my story is located at the statue of James Montgomery by the side of Sheffield Cathedral. I have written it as if James is talking to the visitors at his feet. I wonder if you are available to come and hear the story, and the others on the walk for that matter, or if I could send you the piece if you are interested. That sounds excellent – I’m afraid that I will be in York on the evening of October 13th, I am very sorry to miss this. I would love for you to send it to me though, and I’d be delighted to here more about the U3A story-writing group. My email address is on the ‘Find Adam’ page of this blog, I look forward to hearing from you!